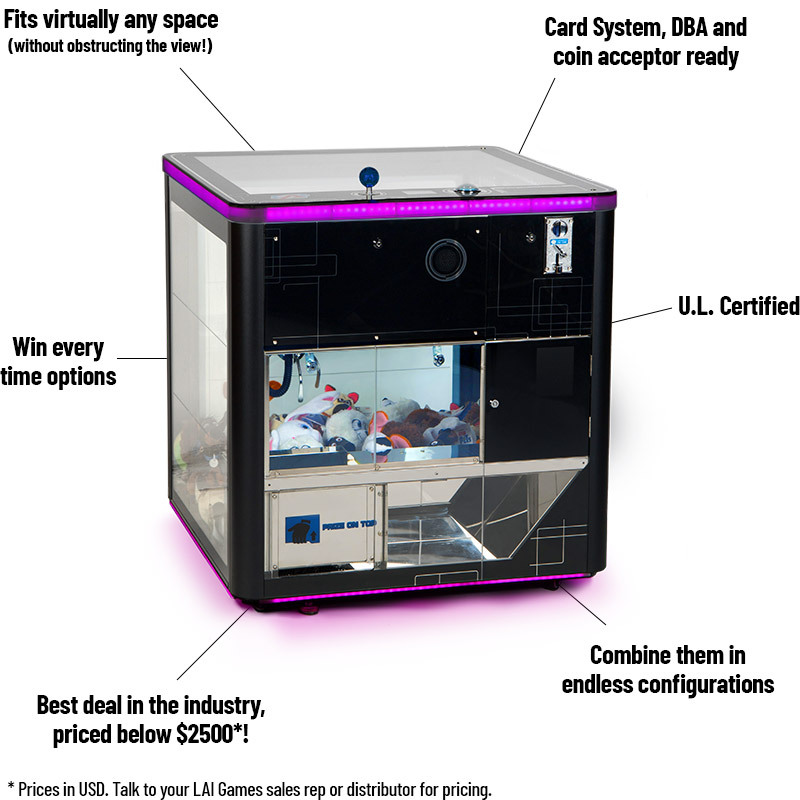 Is This The Industry's Best Claw Machine? Claw machines are a staple for every Family Entertainment Center or Amusement Facility. Prize Box has so many great features that its competitive price tag almost makes it seem too good to be true… so what’s the catch? The catch is, there is no catch! Start taking advantage of this secret weapon to fill that one space in your venue that nothing else will fit! Over Half a Million YouTube Views! Players love Prize Box. Just one fan video has over 600,000 views and counting!